Virtuoso Print Manager is Sawgrass' first universal print management software for SG400, SG800 and VJ 628 printers. Offering a singular solution for optimal print quality and production efficiency, this software combines the best features of PowerDriver, CreativeStudio Print Manager and WinProfile / MacProfile ICC profile solutions into a single, powerful and easy-to-use RIP-like application. Virtuoso Print Manager makes it easier than ever to get great colour output with CorelDraw, Adobe Photoshop, Adobe Illustrator AND CreativeStudio design software for both Windows and Mac OS. Streamline production with an advanced array of features, including job and image nesting, hot folders with customizable presets, multilingual user interface, file- and web-to-print workflows and more. 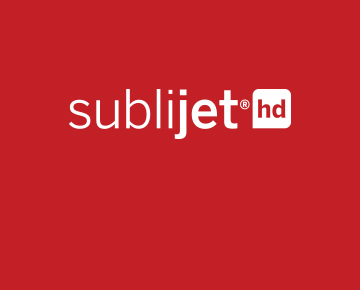 Works with SubliJet-HD CMYK, Pro Photo and Pro Photo XF inks, as well as ChromaBlast-HD and FabricMaker-HD. Job and image ganging saves media. Web-to-print workflow from CreativeStudio Online Designer. File-to-print workflow from CorelDraw, Adobe Illustrator, Adobe Photoshop and more. Hot folder workflow with customizable presets. Advanced Colour with print preview. Built-In ICC profiles for a wide variety of substrates and image types. Allows embedded input profiles, such as Adobe RGB 98, ProPhoto RGB, etc. Direct import of .JPG, .PNG and CreativeStudio’s .SG or SGZ files. Multilingual user interface in English, French, Italian, Spanish and Japanese. Design both with CreativeStudio Online Designer and Adobe and Corel desktop applications on Windows or Mac OS. Any and all print settings - including substrate, paper, hue, contrast, brightness, saturation, mirror and even print quantity - can be customised and saved for future use. If you have a customer who likes stronger reds or more colour saturation - no problem! Simply adjust the print settings to get the colours to your customer’s liking, and save them as a custom preset for future use. Easily apply settings optimal for graphic images and colour or black-and-white photos. Adjust the hue, contrast, brightness and saturation to meet the needs of even your most selective customers. Web-to-print workflow for CreativeStudio and file-to-print workflow for CorelDraw, Adobe Illustrator and Adobe Photoshop for maximum versatility. Streamline jobs with hot folders with customizable presets, job and image ganging and built-in ICC profiles for a wide variety of substrates and image types. Virtuoso Print Manager is easier than ever to use, with a user interface in English, French, Italian, Spanish and Japanese. Please consult with your distributor to ensure that you have an adequate computer system to effectively run not only the printer, but your chosen graphic software programs as well. NOTE: Files must be created from supported design software - Corel, Adobe CC or Creative Studio Online Designer. CreativeStudio is compatible with most widely-available internet browsers. However, Sawgrass strongly recommends using Google Chrome. Click here to download Google Chrome. Designs with photos or simple vector graphics render quickly, even on the minimum recommended internet connection speeds. However, designs with numerous elements or complex vector images may render slowly on slower internet connections. Visit www.speedtest.net to check your connection speed.